Nonprofit organizations are desperate to get their messages out. Crunch Media has announced that it has begun production of GoodWorks WNC, a new weekly video show to raise awareness and support for the many WNC nonprofit organizations who need to get their message out online.The show starts September 13th. Eight minutes at a time, the mission of GoodWorks WNC (GWWNC) is to feature the "good works" WNC nonprofits are doing, and to provide those stories individually to those nonprofits for them to use freely online to further their own important missions. Good Works WNC will interview four WNC nonprofits each week in 8-minute segments each, on location, in a live setting at a local venue. Travinia Italian Kitchen and Wine Bar in Biltmore Park will be the first venue. Travinia spokesperson, Wendy Ruocco, said “The project perfectly aligns to our community support mission as area nonprofits are so important. We are proud to host the show.” GWWNC applauds Travinia for stepping out for such a good cause. The show will be taped live at Travinia beginning September 13th and then released each week as a full show online. Additionally Crunch Media will break up each segment and host it online for each nonprofit to use as they like to promote their mission and gain awareness and support. Pre-production has already begun. Official 501(c)3 nonprofits who wish to participate can visit www.goodworkswnc.org for more information and to submit a request to be on the show. Producers will begin scheduling participating organizations later this month. The Facebook page is https://www.facebook.com/GoodWorks-WNC-655645331254492/. The show is produced by Crunch Media and segment sponsorships will be available. “Crunch Media (www.crunchmedia.tv) is kickstarting the project with production services. It’s the right thing to do.” Trufant said. 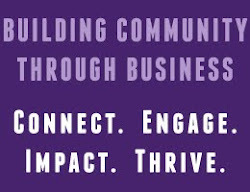 “We think this is a great opportunity for the many other community-minded business organizations to participate to help those nonprofits who are doing so much for us”. Companies who want to support a segment or offer their venue should contact Michael Trufant at 828-384-2330. Companies can designate their sponsorship for a particular nonprofit.